Osceola County is a county located in the state of Iowa. Based on the 2010 census, the population was 6,462. Osceola County was created on January 15, 1851. The county seat is Sibley. Osceola county is named for Seminole war chief Osceola. The county is named in honor of Osceola, a famous Seminole Indian Chief, in the Second Seminole War, who fought brilliantly against the United States to preserve the land and the rights of his people. He was finally captured and died a prisoner at Ft. Moultrie, Florida in 1838. Osceola is named after a famous Seminole Indian Chief who fought brilliantly against the United States to preserve the land and the rights of his people. He was finally captured and died a prisoner at Ft. Moultrie, Fla. in 1838. The settlers liked to talk about his exploits and his romance with the Creek Indian Princess, Ouscaloosa. Osceola County was established in 1851 and organized in 1871. The first permanent settlement took place that same year by Captain Eldred Huff when he took up residence on a claim he had filed the previous November. Since the county was void of any timber (early settlers called it the "American Desert"), Captain Huff hauled a load of lumber from Sioux City for his house. This lack of timber also caused a fuel problem in the winter. Settlers were urged to plant giant sunflowers, as an acre of sunflowers would yield a good burning material equal to six cords of good dry wood. In 1901 it was decided that Osceola needed a new courthouse. A special election was held in November, and a $50,000 bond issue was passed. The contract was awarded to C. E. Atkinson, and construction was completed by 1902. It was formally dedicated in September of 1903. In October of 1915 the building was wired for electricity. 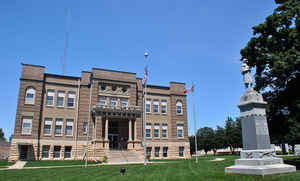 The original courthouse contained a dome which held a statue of Justice. In 1925 the dome was removed and replaced by a square-shaped cupola and the statue of Justice was replaced. This construction was done to modernize the building. On August of 1961 the square cupola was removed, leaving the upper portion of the courthouse as it is at the present time. The Osceola County courthouse is a fine old building. She has stood the test of time. From the crisp cool days of fall to the bitter cold and blinding snows of winter. She has enjoyed the gentle spring rains and endured the hot humid days of summer along with a few northwest Iowa tornadoes. She has seen her people laugh, she has seen them cry. She has seen her young men and women leave to serve their country well, and unfortunately, some never to return. Yes, she is a fine old building and we salute her. May she stand and serve her county inhabitants for another 100 years. God bless our courthouse. As reported by the Census Bureau, the county has a total area of 399 square miles (1,030 km2), of which 399 square miles (1,030 km2) is land and 0.7 square miles (1.8 km2) (0.2%) is water. Osceola County, located in the northwest corner of the state, is Iowa's youngest county and consists of only 397 square miles. Osceola was originally part of Woodbury County, then called Wahkaw County. 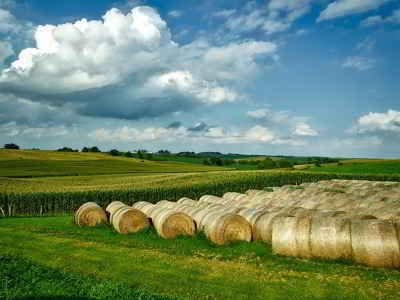 Besides being the youngest county in Iowa, Osceola is also the highest. The highest natural point in Iowa, Hawkeye Point at 1,670 feet (509 m), is located in Osceola County. 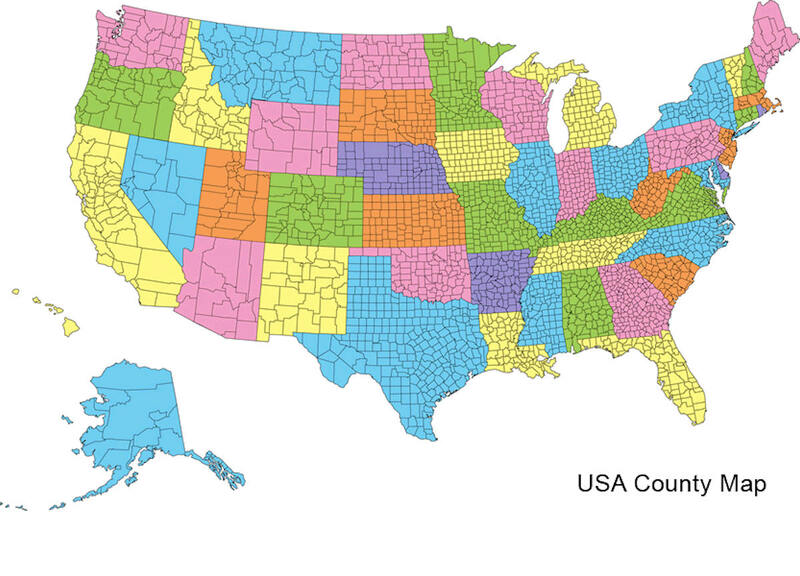 This county is the third-smallest county in Iowa by land area and smallest by total area.